As the Baby Boomer population in Kansas ages, there will be an increase in the demand for health care services. Physicians, who diagnose and treat diseases, registered nurses, health care practitioners, and certified nurse assistant will all enjoy the job security and opportunities that the industry affords. Training to become a Certified Nurse Assistant is a fast and simple route to a consistent salary, job stability, and opportunities to advance to other careers in nursing. The Kansas Department for Aging and Disability Services requires student nurse aides to complete at least 90 hours of classroom and clinical training before applying for the CNA exam. With full-time attendance, students can complete the training requirements in 4 to 6 weeks and take the exam for placement on the Kansas Nurse Registry. Students enrolled in the nurse aide program at Bryan University will complete 45 hours of training in the classroom as preparation for the 45 hours of hands-on work at a partner facility. The program is approved by the Kansas Department for Aging and Disability Services (KDADS) and runs for six weeks. Course topics include disaster training, mentally confused residents, basic hygiene, resident rights and safety, fire safety, basic nursing skills, and social and psychological problems. Students will also learn the procedures for charting, food service, observing patients, communication, bed making, rehabilitative and restorative care, and caring for dying patients. Applicants must be 16 years or older, provide negative TB test, and be employable in a long-term care facility. The clinical site will require students to undergo a criminal background check before placement. Classes meet Wednesday through Friday from 9:00 am to 2:30 pm in the classroom and at clinical sites. The State requires 90 hours of classroom and clinical hours, so all hours must be completed by the student. Makeup hours may be available for missed classes for an additional fee. Tuition for the program is $330, fees are $75, and books and supplies cost approximately $15. The 5-credit nursing assistant program at Washburn Institute of Technology is specially designed for high school students in grades 11 and 12 who plan to enter the field of nursing. Students gain the knowledge and skills to pass the Kansas Nurse Aide certification exam and secure employment as a CNA. Through a combination of classroom instruction, nursing lab skill, and instructor supervised experiences in a clinical setting, students gain all the skills they need to care for patients in acute care and long-term care facilities. Upon completion of the 65 hours of theory and 25 hours clinical experience, students will receive a certificate of completion. The training and experience as a CNA will also prepare students for enrollment in a licensed practical or registered nursing program. Applicants must pass three entrance exams, complete a physical exam, and TB skin test. Classes meet for one month from Monday through Friday from 8:00 am to 3:00 pm. Tuition is $654 plus expenses for books and supplies. 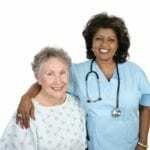 The Certified Nurse Aide program at Allentown Community College’s Burlingame Campus prepares students to function as caregivers in long-term care settings while working under the supervision of licensed nurses. The 5-credit hour program includes instruction in the classroom, laboratory, and clinical environment. Applicants must be 16 years or older and have a negative TB skin test. Prerequisites include completion of COL 101 or competency test scores from ACT Reading score 12 or above, COMPASS reading score of 54 or above, or ASSET reading score of 34 or above. Once accepted, students maintain attendance and achieve satisfactory grades. Classes meet for approximately five weeks. Course topics include personal care and grooming, positioning, bed baths, daily hygiene, transfer of patients, nutrition and fluids, comfort and rest, maintain and restoring mobility, infection prevention and control, residents’ personal living space, dementia and problem behaviors. Tuition for the program is $300 plus expenses for books and supplies.